Clean, white linens adorn every table at Chez Billy Sud, where the servers are clad in denim aprons. It’s a contradiction representative of the entire experience at this neighborhood French restaurant, where fine dining meets a certain…je ne sais quoi. Clementine and Sam’s own relationship began while working at The Diner in Adams Morgan. She was pursuing a career in theater; he, in fine art and photography. 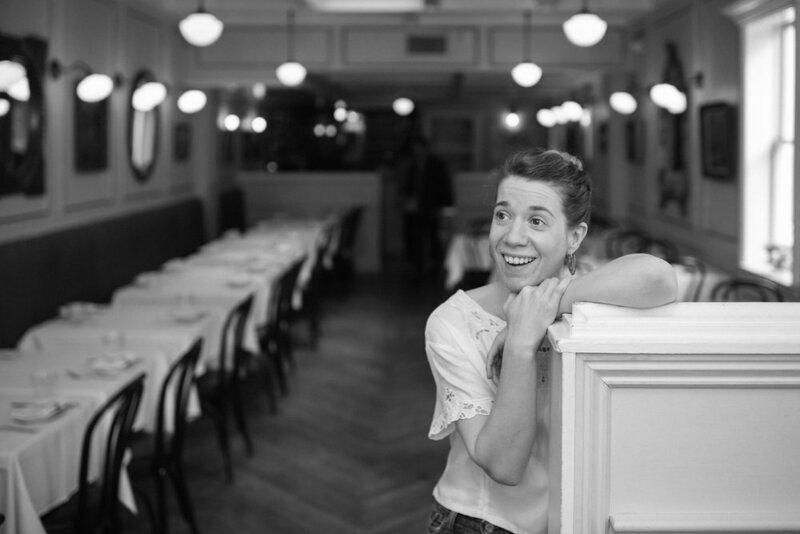 While Clementine moved from The Diner to Open City, and back again as general manager, Sam helped Ian and Eric Hilton open Marvin on 14th Street. Sam used his fine art background to help with the menu design for The Gibson, followed by stints with Blackbird and Brixton. During that time, he developed a close relationship with Chef Brendan L’Etoile and the Hilton brothers, who began using him as their restaurant opener. 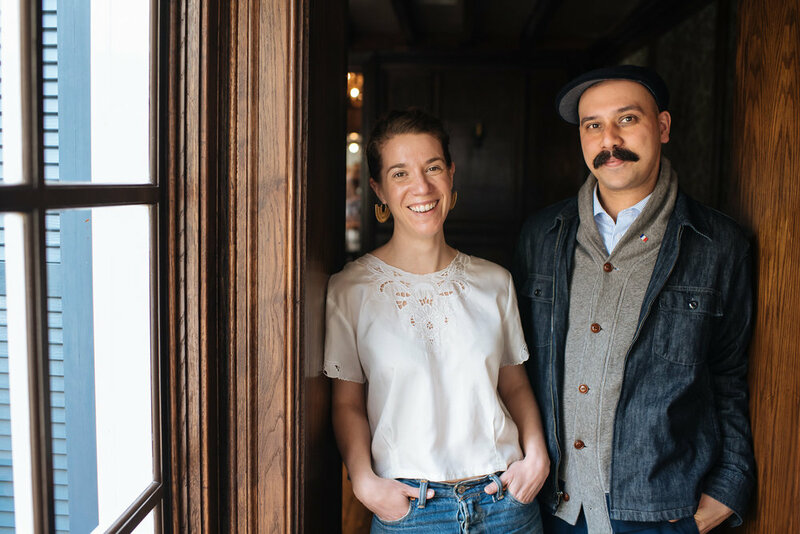 After launching Chez Billy in Petworth, the brothers began courting the owner of a Georgetown space, interested in opening a sister restaurant. In 2014, Chez Billy Sud opened seamlessly on 31st Street, immediately filling a neighborhood void they didn’t fully realize existed. 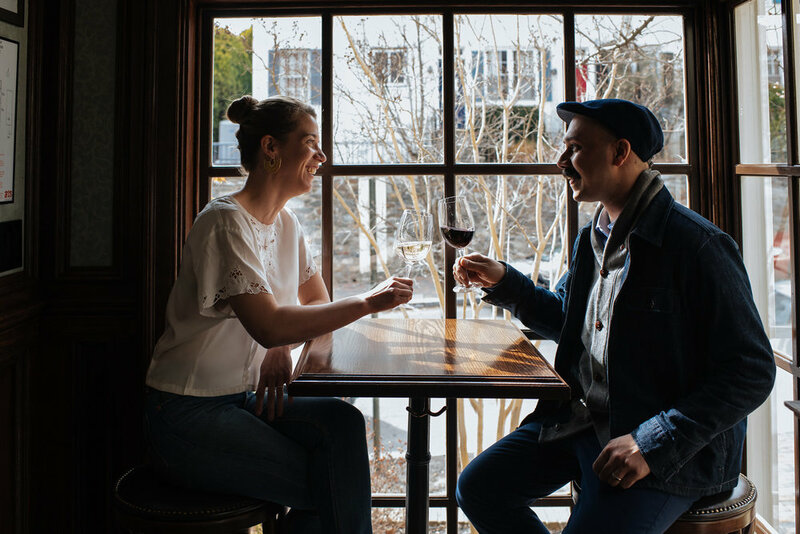 From the start, Sam and Clementine knew they wanted to turn the neighboring space into an intimate wine bar—an Old World feel reminiscent of many detached bars in Europe. Bar a Vin opened in 2016, attracting a slightly younger clientele looking for a low-key happy hour after work. That same year, Sam and Clementine joined the Chez Billy Sud ownership team. 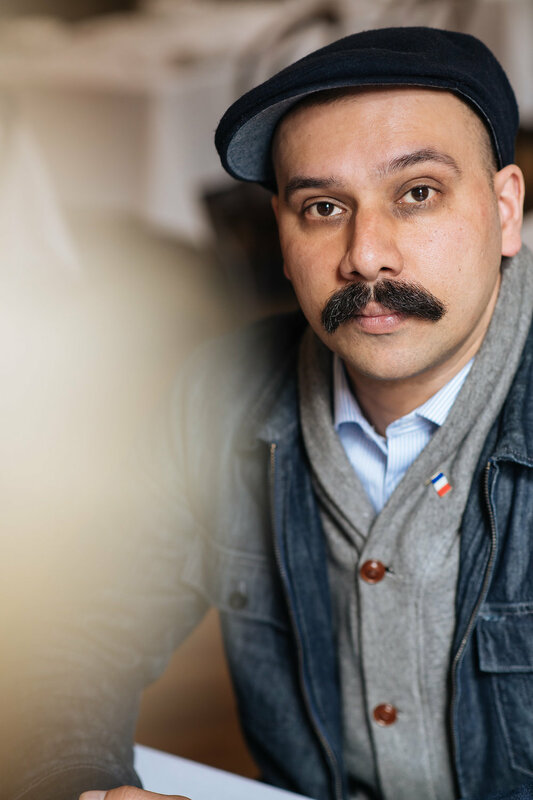 Today, Sam spends much of his time working on additional ventures throughout the city—mostly recently opening Crimson Diner + Whiskey Bar + View Bar, and Gaslight Tavern. He says their Chez Billy Sud staff feels like family—many of whom followed Sam and Brendan from their Marvin days—and have been taught by example to run the floor in his absence. 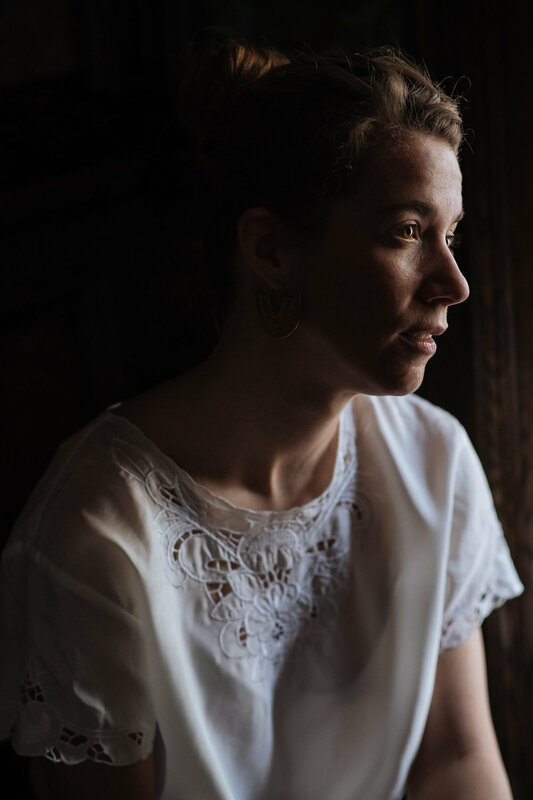 Clementine’s eyes do the same when she mentions the duck confit—a ‘flavor bomb’, and her favorite dish on the menu. At home, the couple collects cookbooks, though they don’t have much time to actually use them. The DC natives live in the Palisades but say coming to Georgetown feels like returning home, to the neighborhood they frequented as children. ‘It wasn’t planned at all, but it’s nice to be back where I feel like I started,’ Sam says.